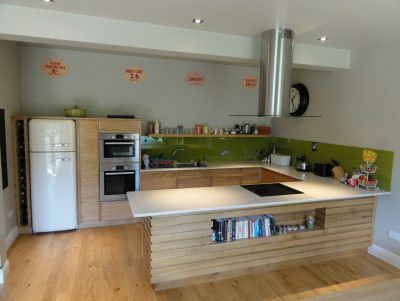 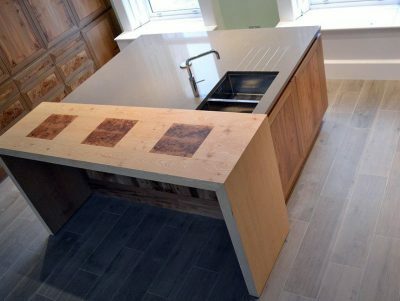 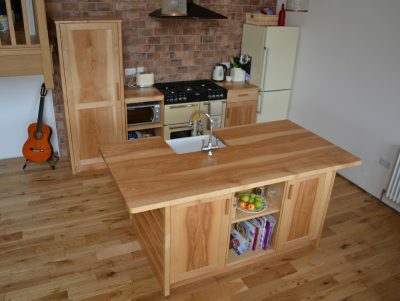 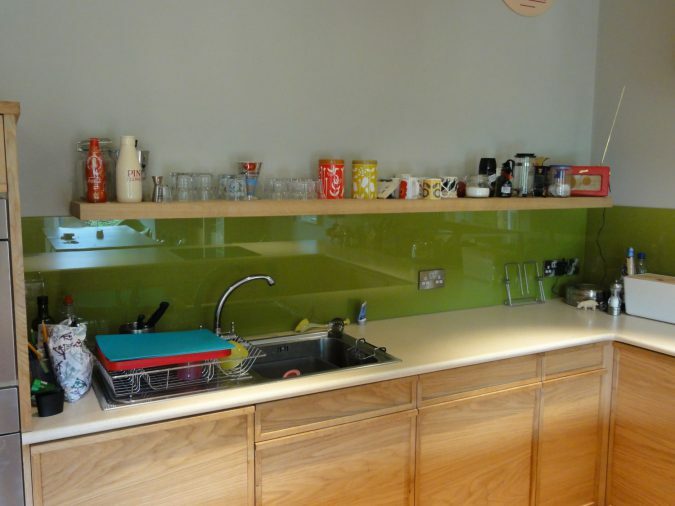 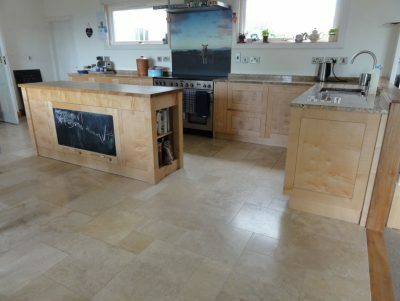 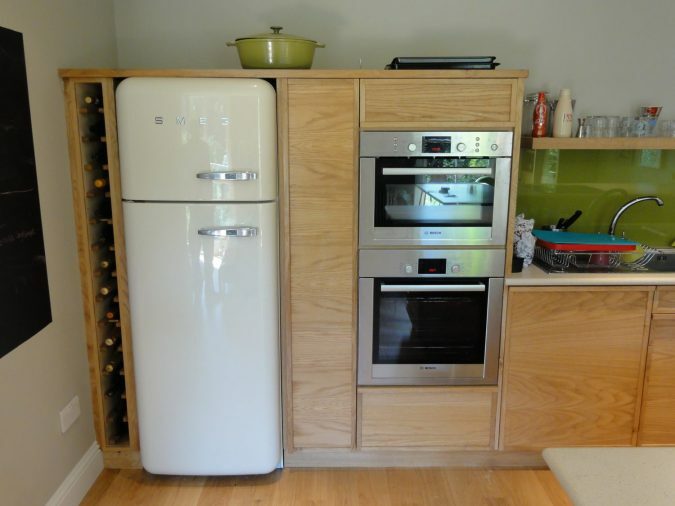 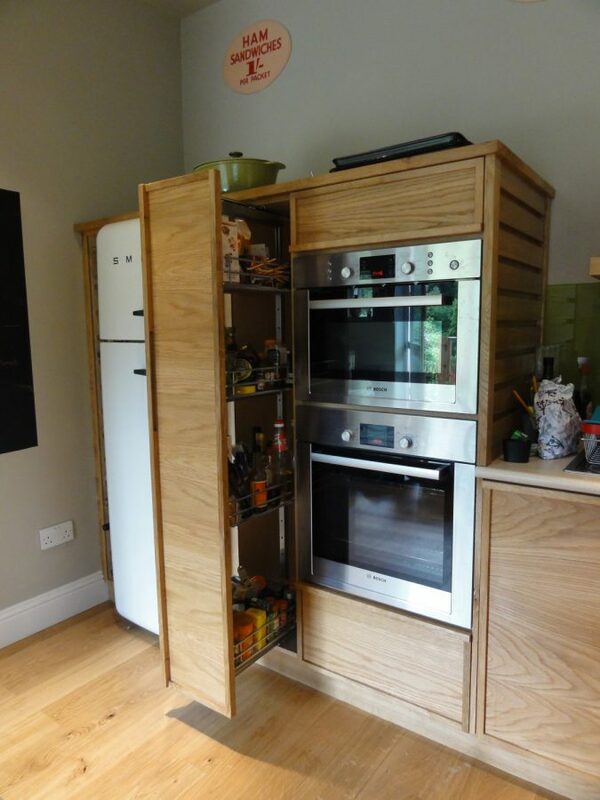 A fully bespoke modern kitchen comprising of birch plywood carcasses and oak veneered plywood with solid oak lippings. 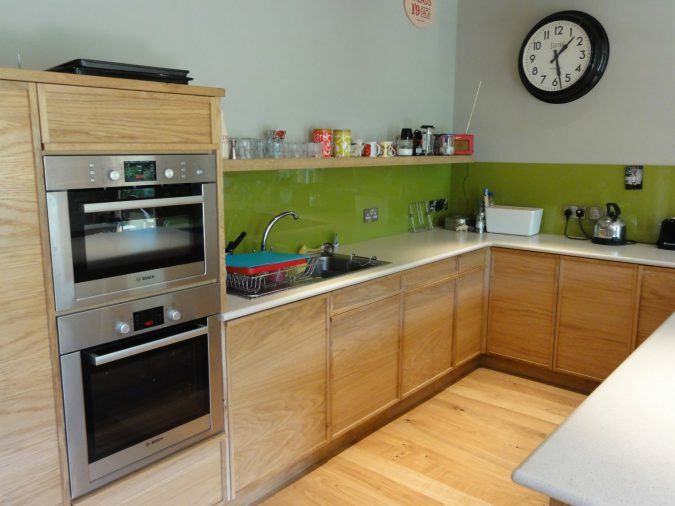 The peninsula unit is clad in horizontal solid oak batons with an integrated book shelf which ties the kitchen with the open plan living area. 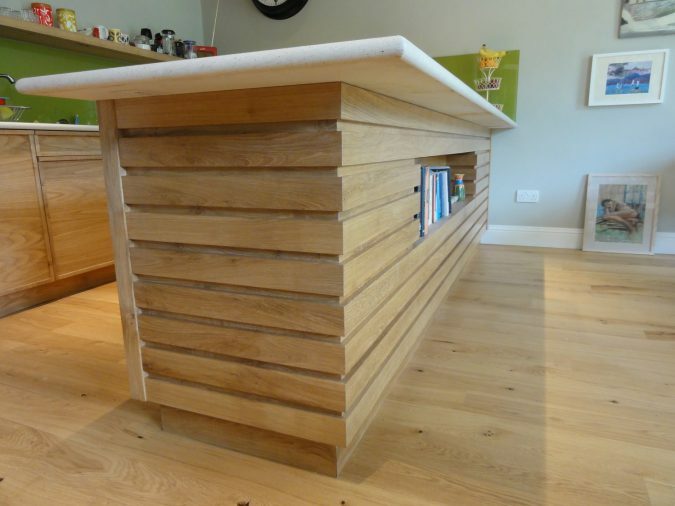 Designed and made by Graham Murdoch and Ross Ketteridge for a client in Edinburgh.